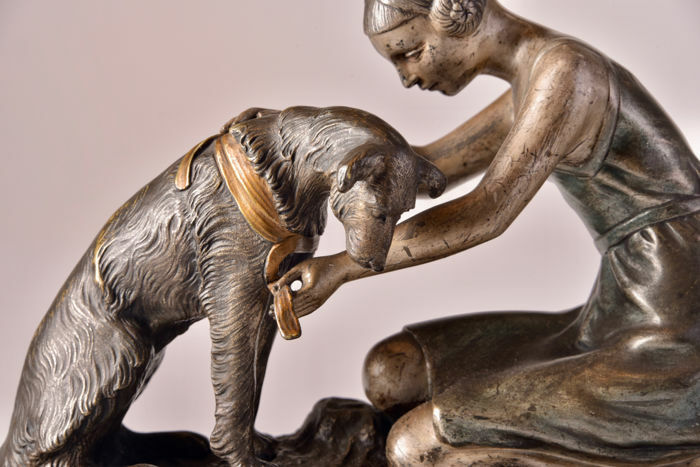 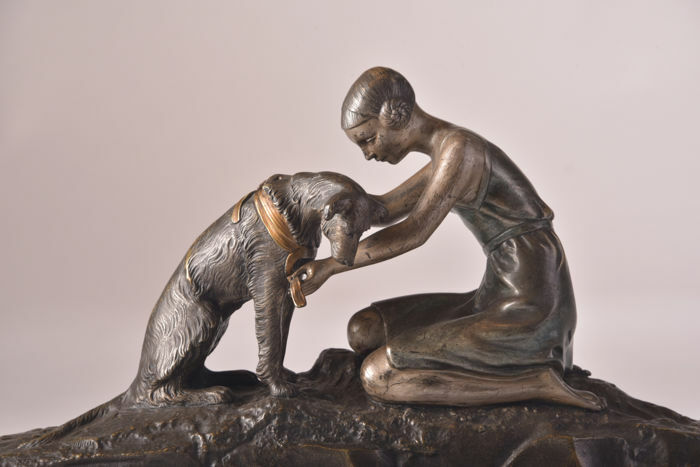 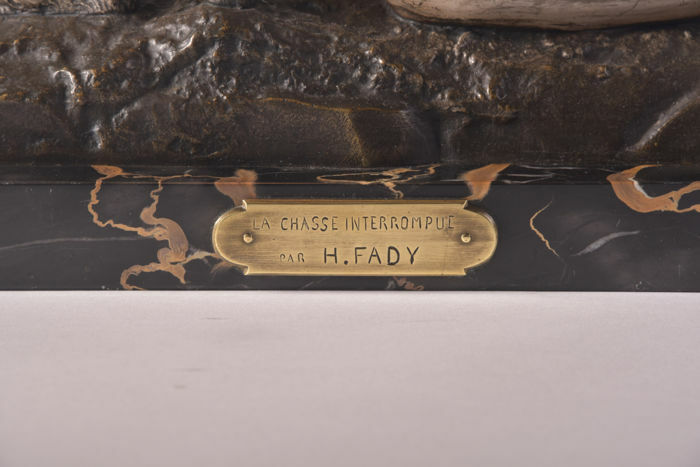 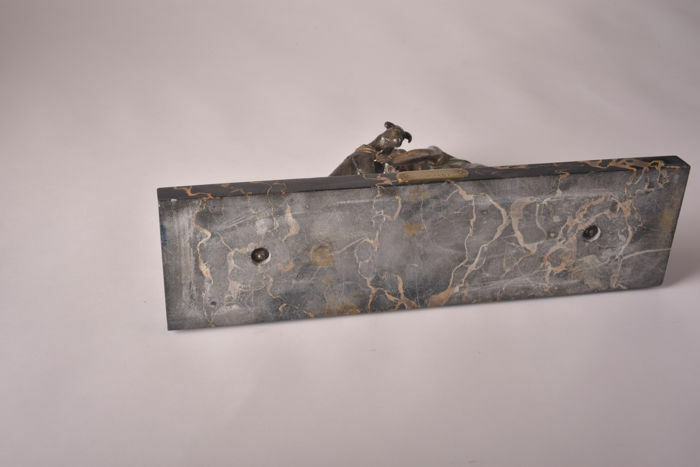 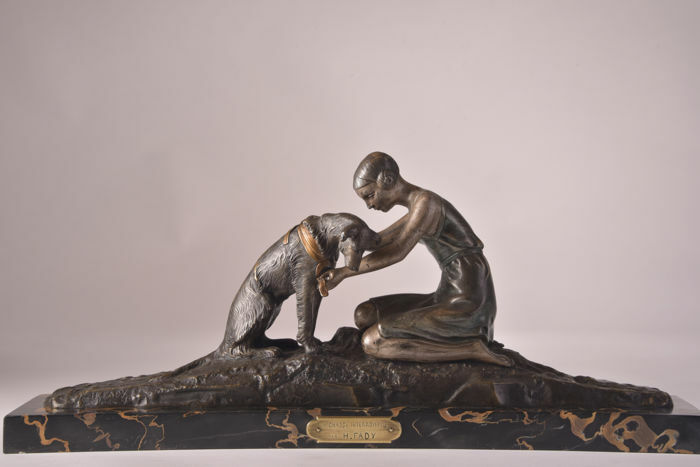 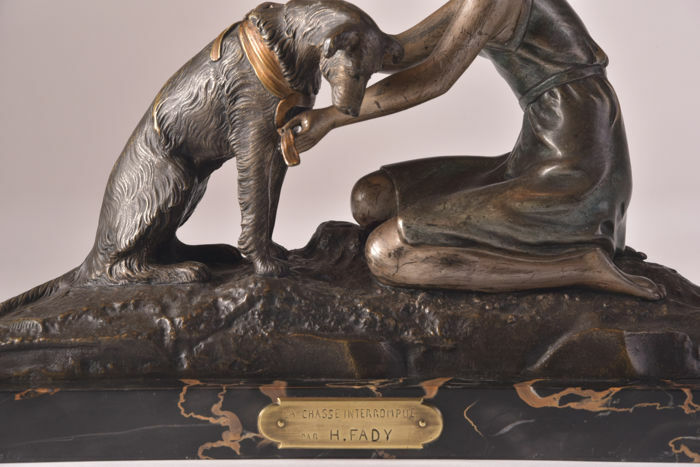 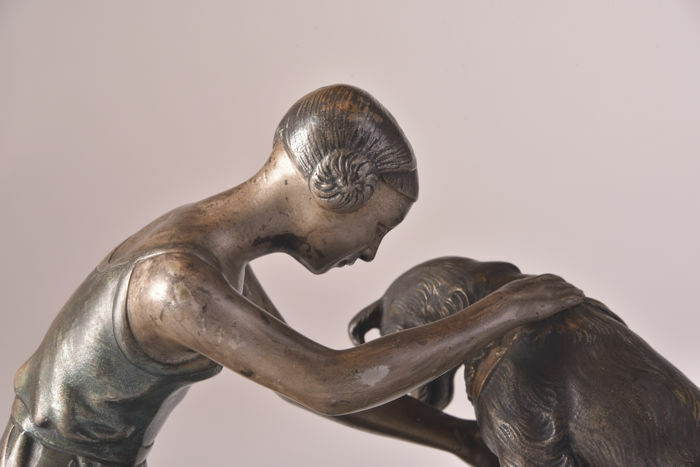 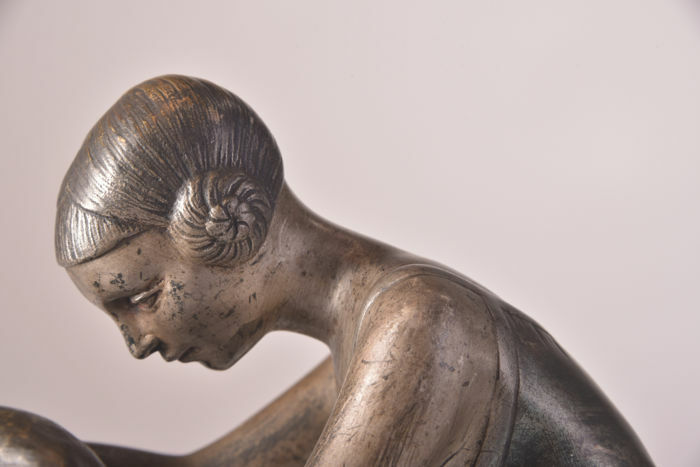 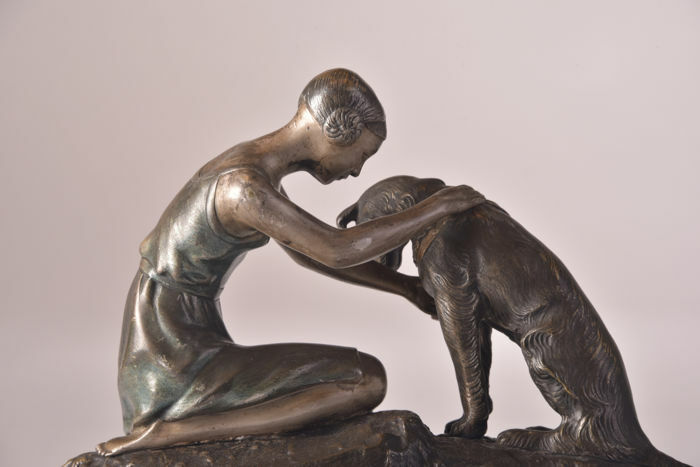 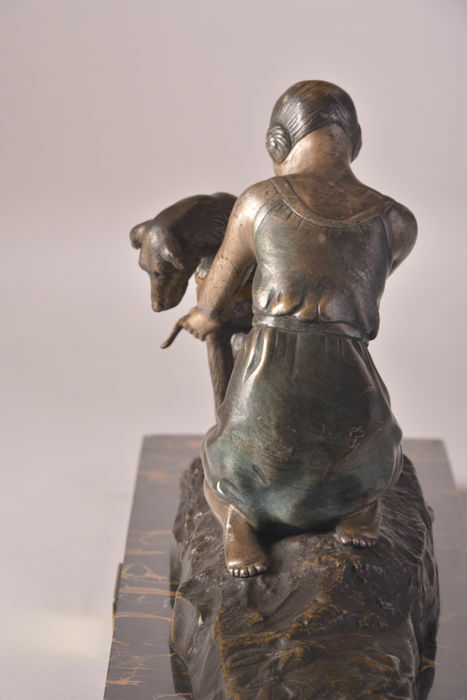 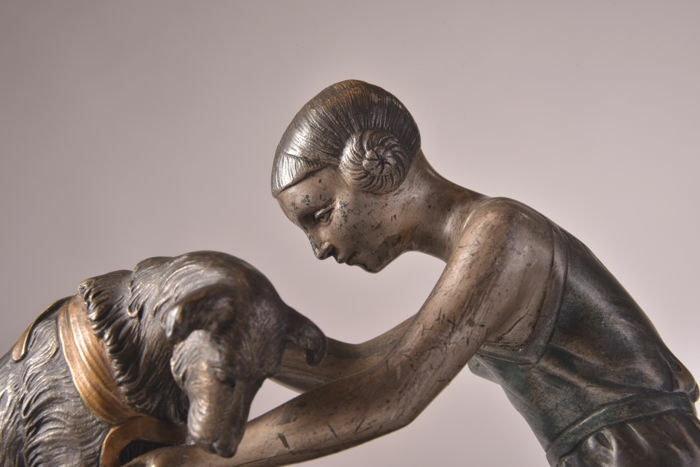 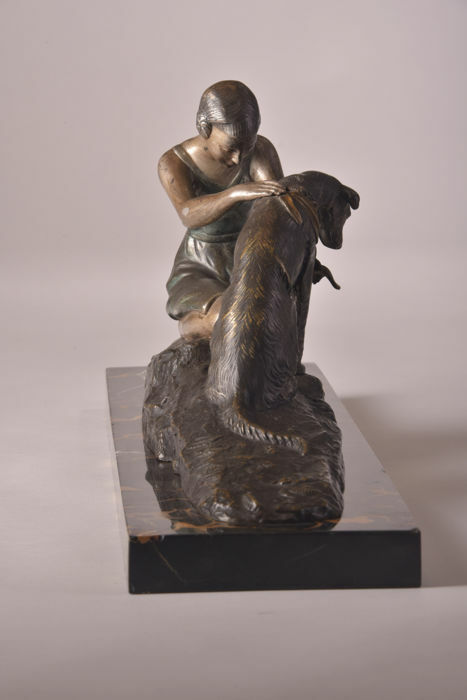 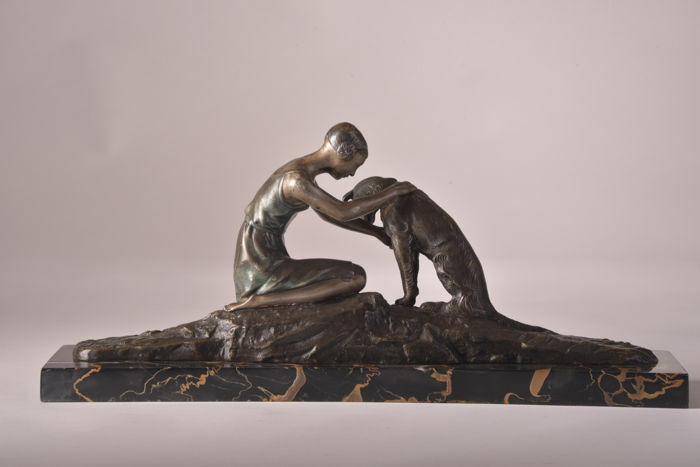 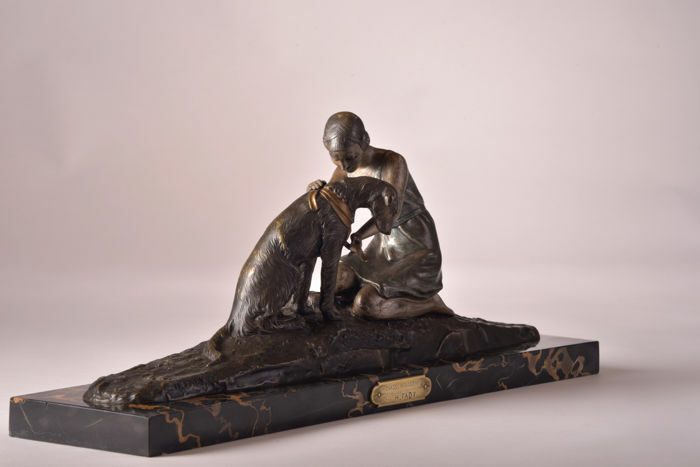 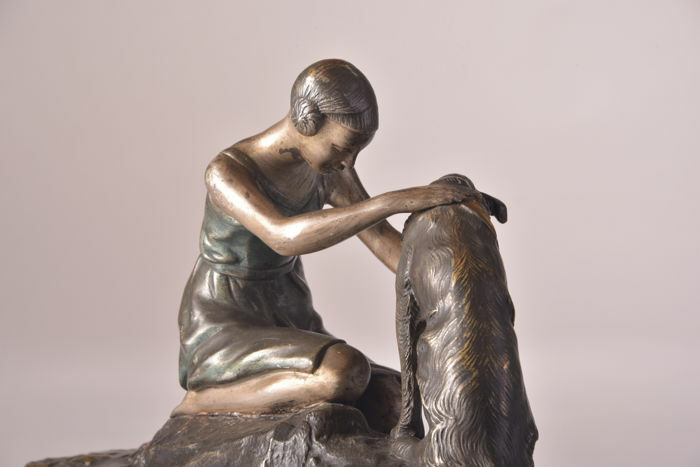 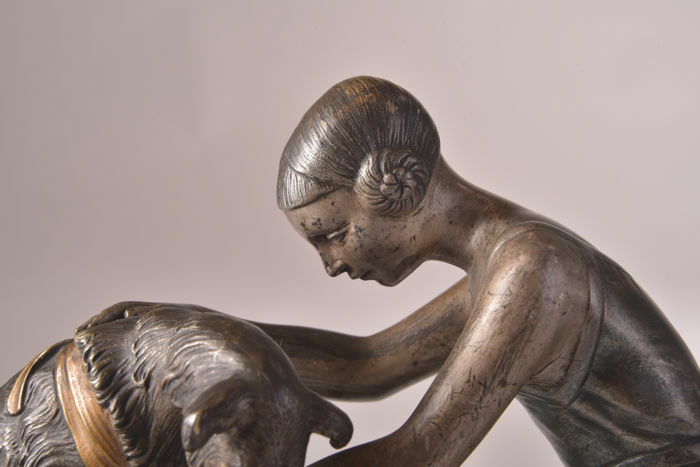 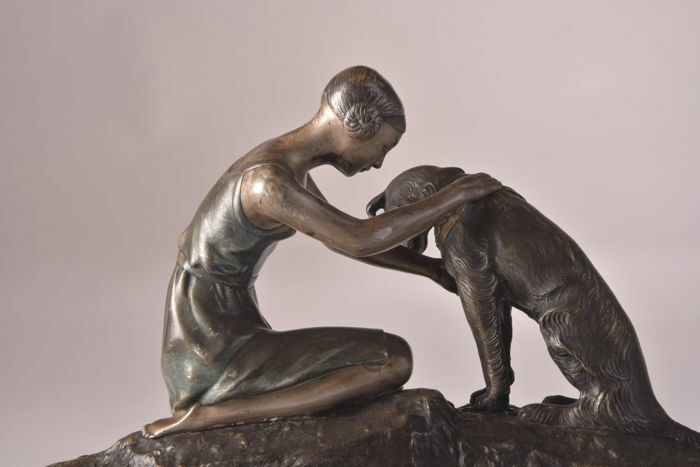 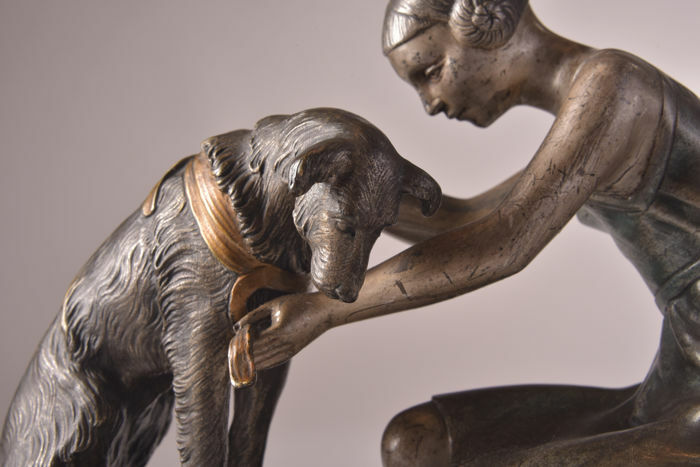 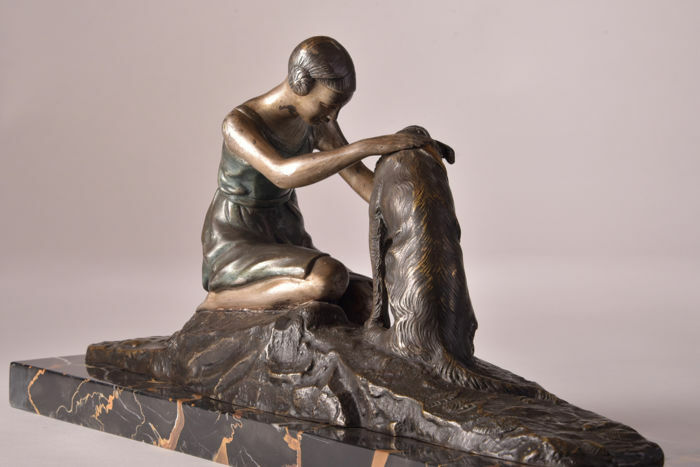 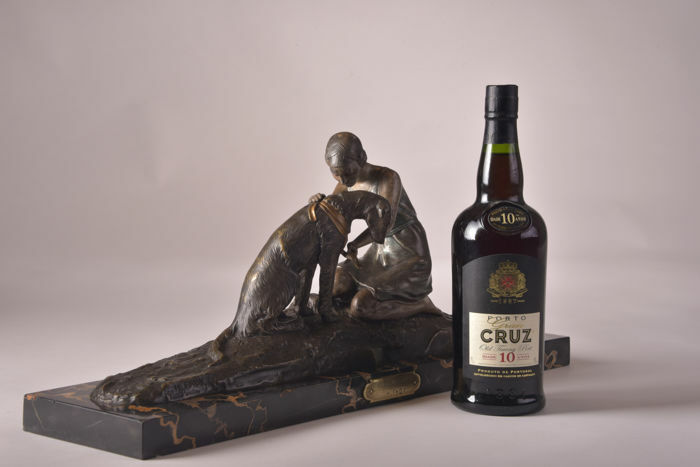 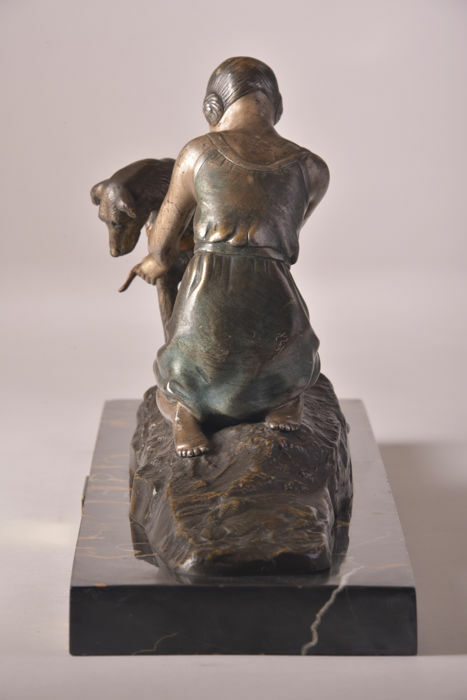 Impressive Art Deco bronze sculpture on marble base. 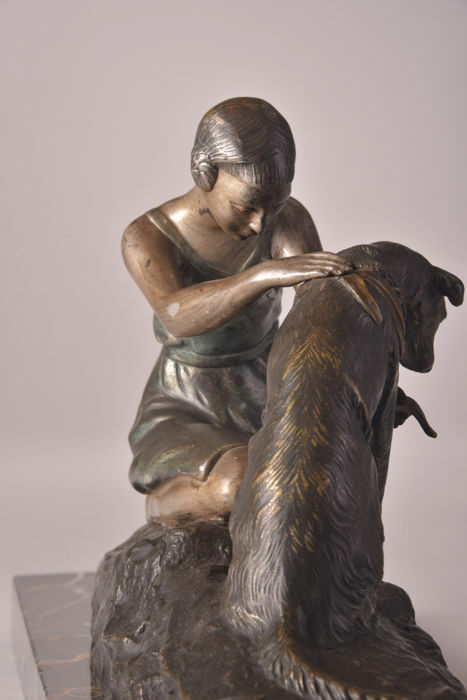 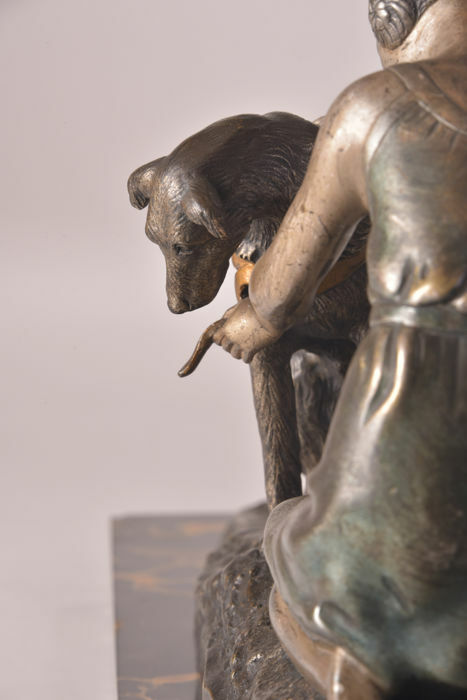 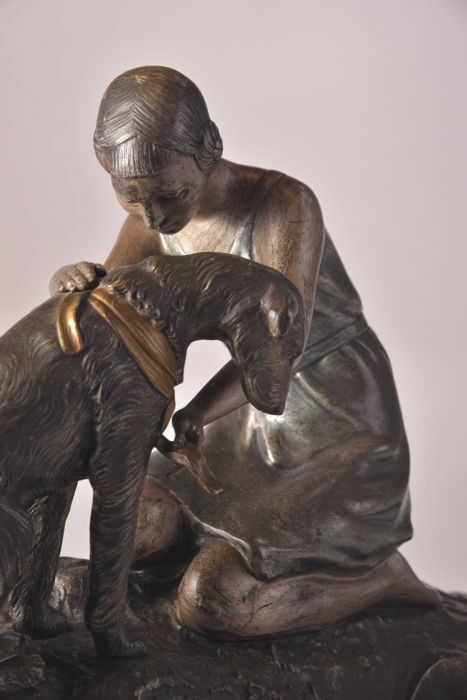 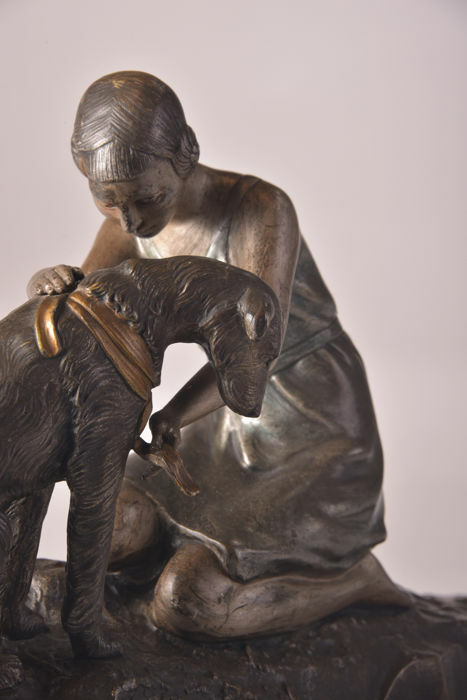 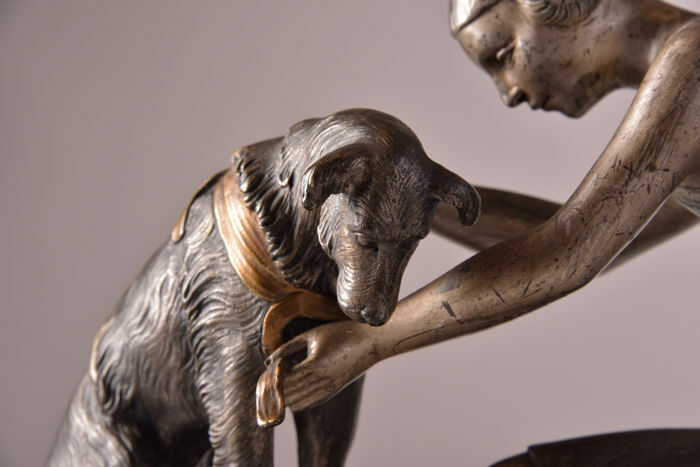 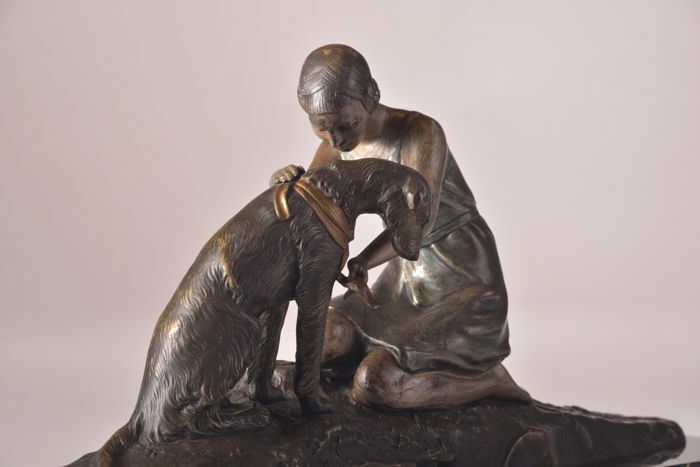 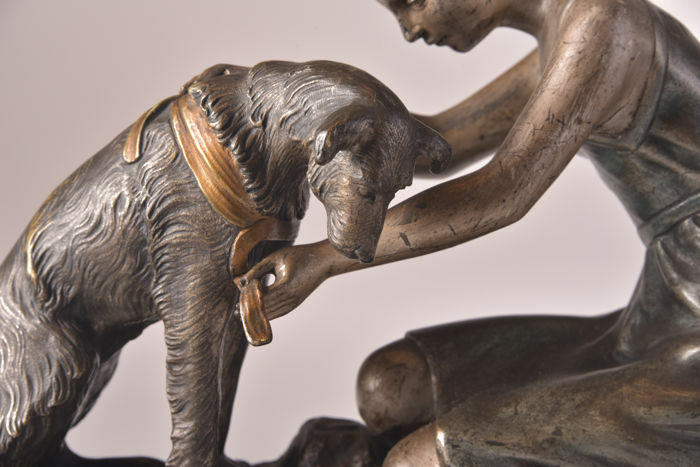 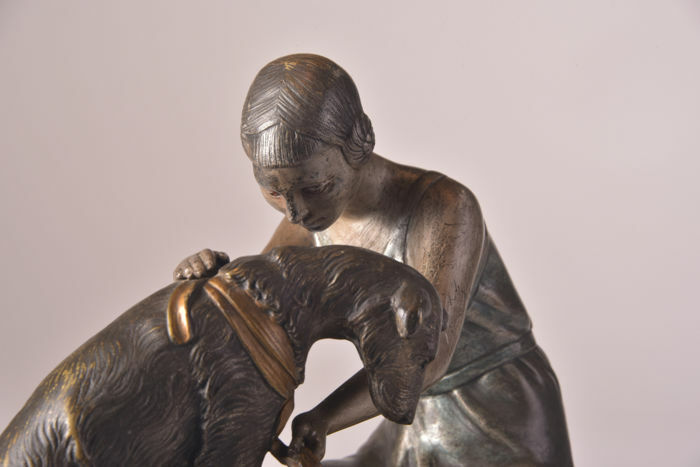 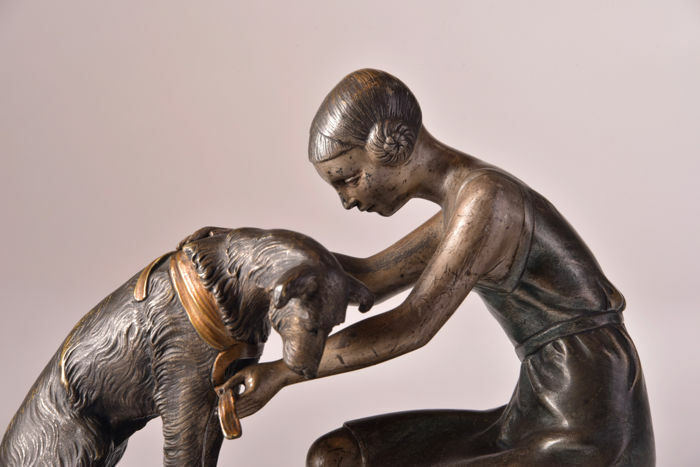 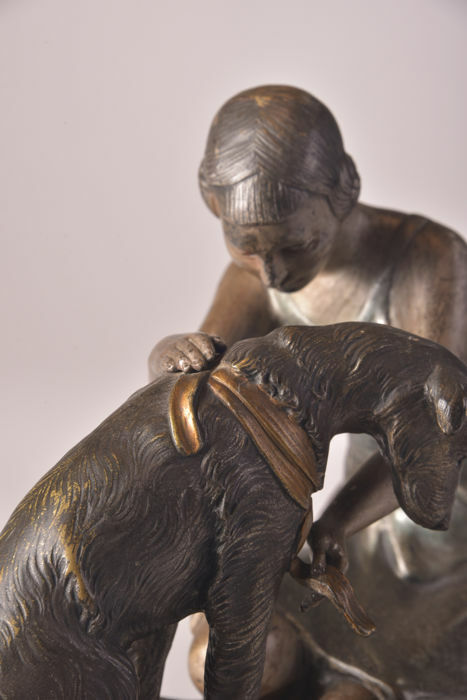 Image of a young girl adjusting her dog's collar. 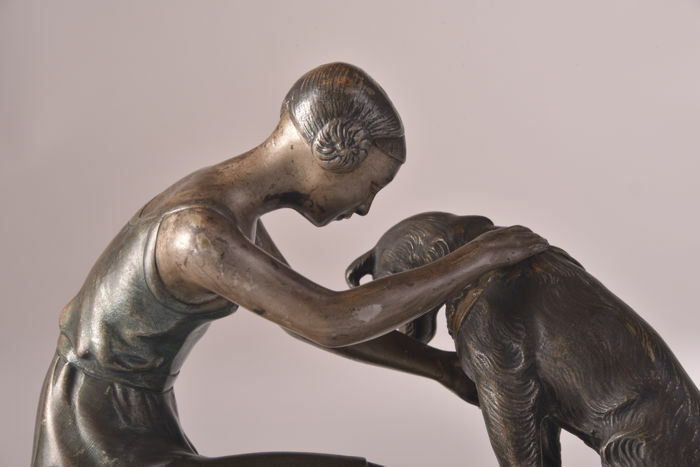 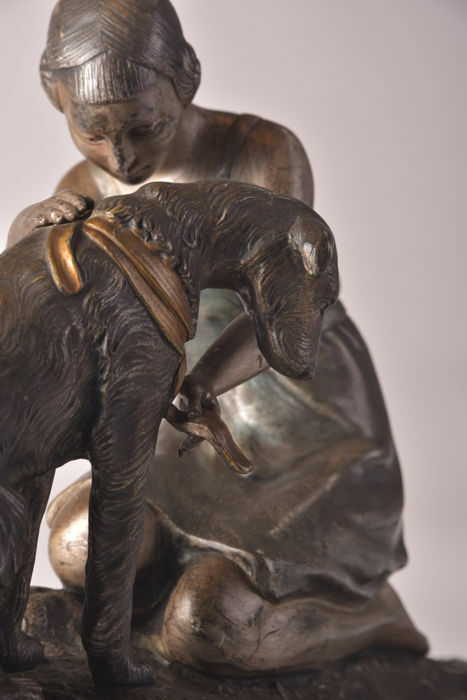 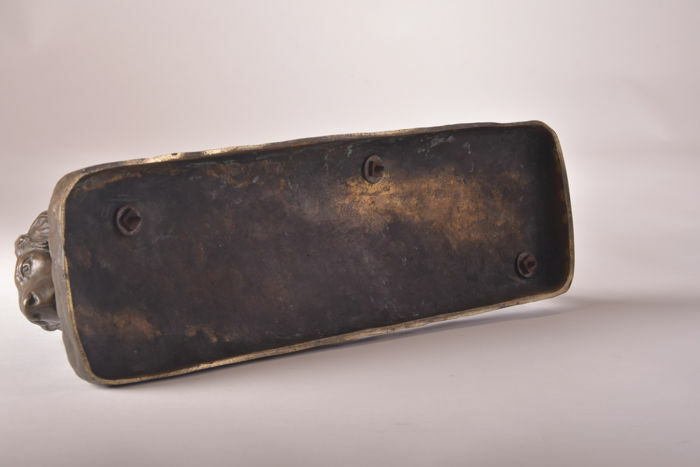 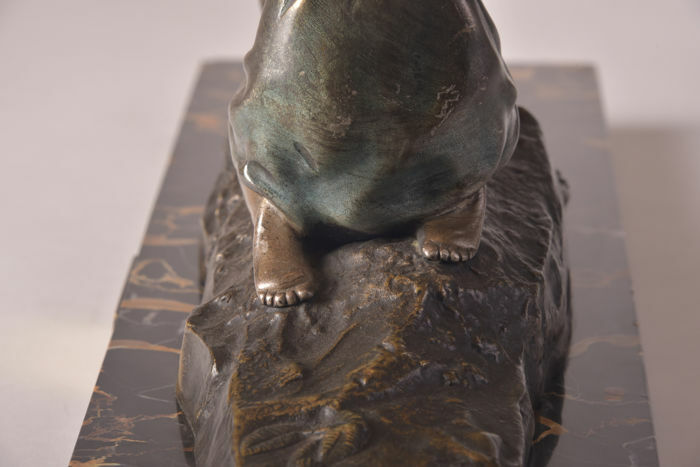 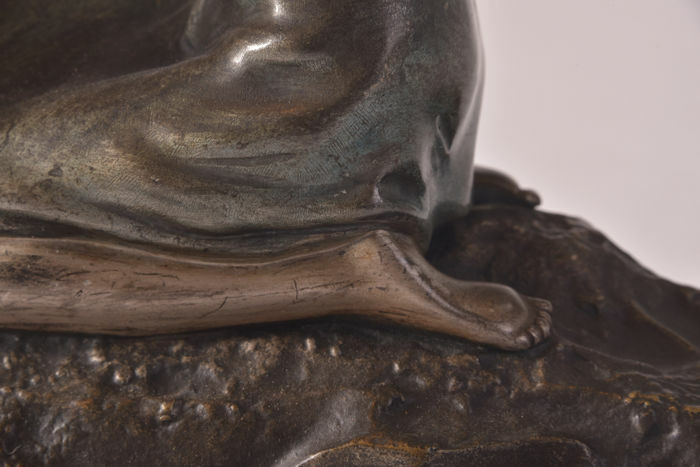 Cold-dyed and patinated bronze signed sculpture. 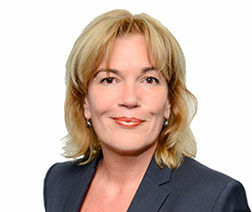 Zeer tevreden! 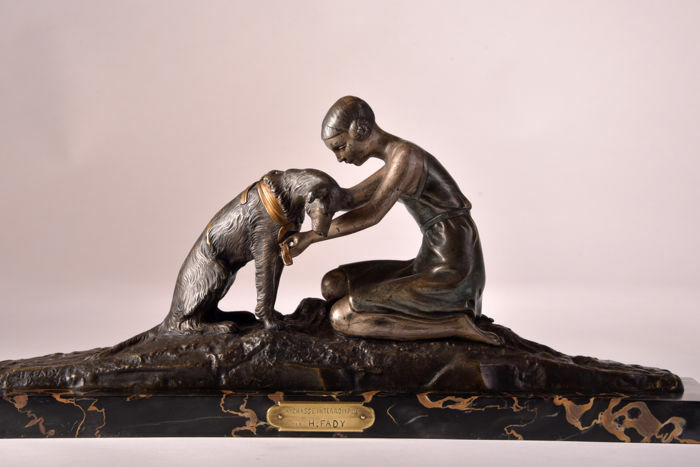 Goede verzending! 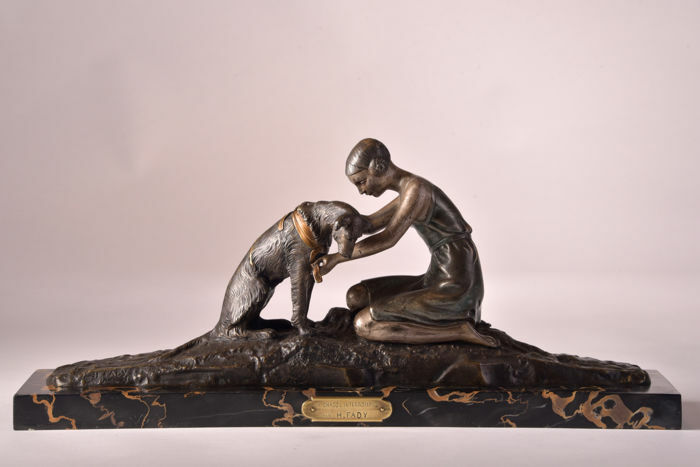 Goede kandelaars! 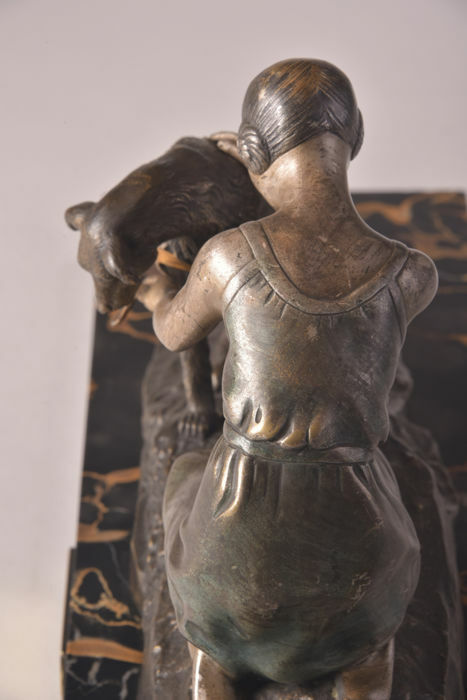 Not in good condition.Lost the horse's bridle,the authentic pedestal,one arrow in the quiver, the authentic bow and the arrow it the tiger figure is not authentic.To restore these will cost expensive. 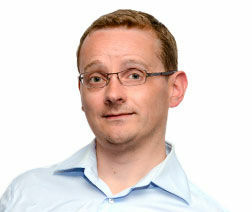 GEWELDIGE SERVICE - SCHITTERENDE KAVEL - EXCEPTIONEEL MOOI ! 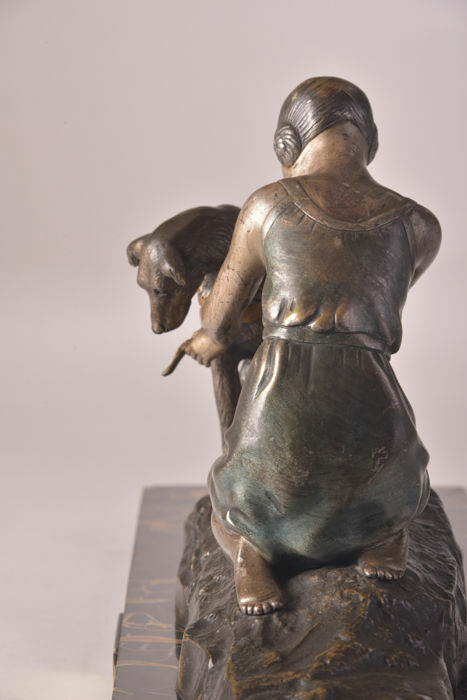 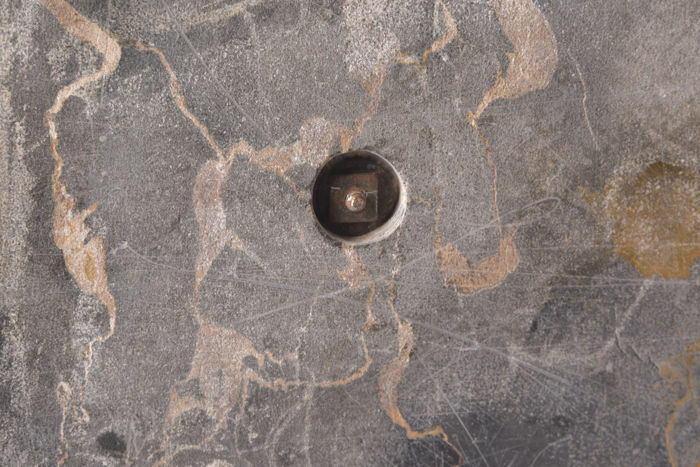 You can pick up this lot from the seller: Ulestraten (Limburg), Netherlands.